Cappelle-en-Pevele is a village and commune about 15 kilometres south-south-east of Lille and 5 miles (8 kilometres) north-north-west of Orchies, which is on the N.353 main road from Seclin to St. Amand. 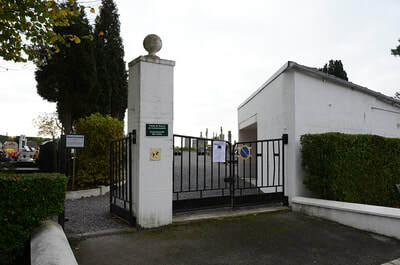 The nearest railway station with a reasonable service is 1.5 miles to the north, at the Templeuve-Lille on the Valenciennes line, where a taxi or private car may be hired to complete the journey. 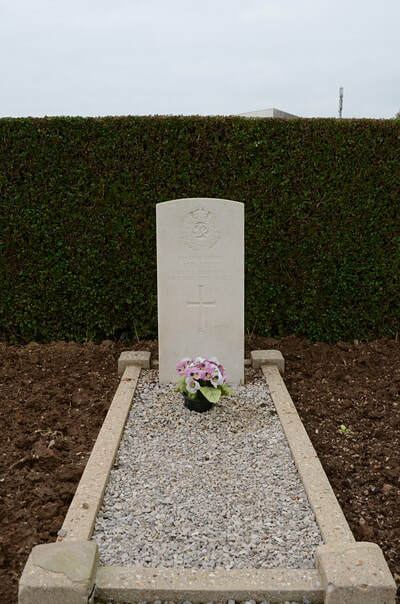 The communal cemetery is at the north-western end of the village in a by road off the N.353 road The British grave is near the western corner, close to the boundary hedge. 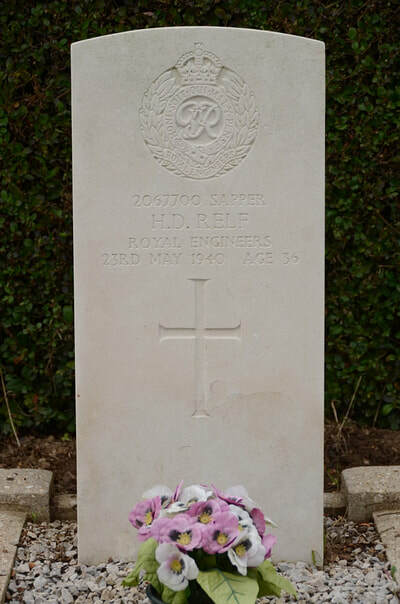 2067700 Sapper Harry Dave Relf, 208 Field Company, Royal Engineers, died 23rd May 1940, aged 36. Son of David Lille Relf, and of Clara Relf, of Landport, Lewes, Sussex.